"And, like many fathers, I’m proud to say that my children know well, “It’s not all about you, Dad," said William Micklem. Photo courtesy of William Micklem. So how famous is your coach? Are you in awe of him as he arrives in the arena? Does her gold-medal CV precede her and add value to the lesson? Or is it a barrier to learning? Your coach might be on an even higher level and be a guru! All sorts of connotations here, with the vision of true believers sitting at the feet of their guru, who has become a guru because of a charismatic personality and an “original” way of thinking that is at odds with the guru’s peers. Therefore many of the “gurus” try to give themselves added value by knocking the rest of the training world—even their own students—and preach doom and gloom unless their way is followed. Most of us have probably also witnessed the coach who parades his ego to the audience in the gallery instead of giving his students maximum thought and attention. Then there is the coach who derides and disparages her students as a way of showing her superiority and knowledge. Some of the old school equestrian coaches still get away with this roaring negativity and one-way communication. They are defended by those who say that a few home truths are vital; that the modern student is too wrapped up in cotton wool and protected from the hard-nosed reality of the competition world where failure and defeat are inevitable. I am not afraid of being demanding as a coach. I can raise my voice with the best of them, but it is a raised voice of enthusiasm and encouragement, a raised voice that says what they need to do, not what they shouldn’t do. And I am a fully signed up member to the philosophy that says you cannot be demanding without also being generous. Let’s not kid ourselves, despite what we see in sports films and hear in the bar, it’s almost impossible to find any research that shows consistent negativity, or a regular pattern of insults, is beneficial to learning and performance in any sport. However, the reverse strategy of working positively from what is possible; telling a student what you want her to do rather than what she shouldn’t do; keeping a student’s confidence; and being quick to praise determination, effort and progress has been consistently shown to accelerate improvement in performance in comparison with other methods. The coach has to put his students first and keep a tight hold on his ego. The ironic result of this sense of priorities is that the subsequent success and progress of the students create increased kudos and reflected glory on the coach. So this strategy is actually a win-win situation. 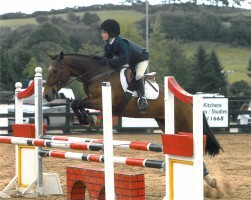 Students are the most important visitor to a riding facility. They are not dependent on us; we are dependent on them. We are not doing them a favor by serving them; they are doing us a favor by giving us an opportunity to do so. However, the better we educate ourselves, the better we can educate our students, so lifelong learning remains a lifelong priority for the coach. This reflects the two sides of the same coaching coin that is called respect. Taking on board the thought that we are dependent on our students shows respect for the student. Equally, the study of our subject also shows respect for the student. From this, the journey to mutual respect is a short one. This is why the phrase, “It’s not all about you, Coach” is one of the most powerful phrases in coaching. It may initially be an uncomfortable thought for some coaches to accept. It may even feel like an insult, but as you understand its significance, it soon becomes an integral part of your life as a coach, a liberating coaching second skin. Liberating because you understand that it’s not necessary to put on a performance while you coach, raised up on stage in front of your students and audience. Instead you are on the same level, directing, encouraging, explaining, demonstrating, facilitating and, most importantly, studying, as the students do the performing and learn from their own experience. Lifelong learning for the coach is a thought that some older coaches begin to find tedious or unnecessary, but it is a truism that people learn best from those who are also learning.